The City of West Hollywood and its Transgender Advisory Board will host a community event for Transgender Day of Visibility on Sunday. The event will take place from 11 a.m. to 2:30 p.m. at Plummer Park, located at 7377 Santa Monica Boulevard. It is free and open to the public. 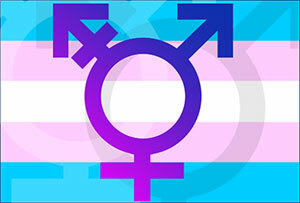 International Transgender Day of Visibility is recognized every year on March 31 in locations around the globe. It is a day to celebrate transgender people throughout the world and honor them for living openly and authentically, while also raising awareness around the discrimination that transgender people still face. In 2019, International Transgender Day of Visibility takes on specific importance as the LGBT community fights against the Trump Administration’s military ban on trans troops. In March, the Department of Defense outlined its 30-day plan for implementation of new policies that require members of the military to serve as the gender they were assigned at birth, effectively undoing the Obama Administration’s policy from 2016. West Hollywood’s International Transgender Day of Visibility event at Plummer Park will feature a DJ spinning house music, an open mic, an art display and food trucks. The first 200 guests to arrive will also receive a ticket for a free taco lunch. Two-hour free parking will be available on a first-come first-served basis in the north and south lots of Plummer Park. The City of West Hollywood is one of the first municipalities to form a Transgender Advisory Board, which addresses matters of advocacy on behalf of transgender people in the areas of education, community awareness, and empowerment, and makes recommendations to the West Hollywood City Council. Through its Transgender Advisory Board, the city regularly co-sponsors programming that includes a job fair organized by the L.A. LGBT Center’s Transgender Economic Empowerment Project in order to connect transgender women and men with employment resources and opportunities. The city also recognizes Transgender Awareness Month and Transgender Day of Remembrance each November.. As part of its support of the transgender community, the city has a Transgender Resource Guide available on its website, which provides information about a variety of resources including legal, health, and social services available in the Greater Los Angeles area.